In the latest episode of NPR’s All Things Considererd, Malcolm Gladwell tells the story about how Steve Jobs first brought the mouse to Apple. It’s a fantastic look inside Steve’s brain, and how he can reduce a complicated concept down to its essence for mass consumption. According to Gladwell, when Steve Jobs visited Xerox’s Palo Alto Research Center in the late 1970’s, he was amazed by what he saw: a demonstration of a new three-button computer mouse. The only problem? It cost $300. Realizing that this would be the perfect interface innovation for his Apple Computer, Jobs took the concept to industrial designer Dean Hovey, who “improved” the mouse by dropping two of its buttons… and, along with them, the mouse’s build price, which sank to just $15. Obviously, Apple’s decision to favor just a single mouse button has been a contentious one. To this day, it’s one of the first snarky comments Windows users like to ignorantly drop when you say you’re a Mac user. In fact, Apple’s single mouse button aesthetic is commonly leveled as an example as to how Cupertino’s obsession with simple interfaces can be taken too far. When you actually hear Gladwell explain how the single button mouse came about, though, the genius of the decision really clicks. 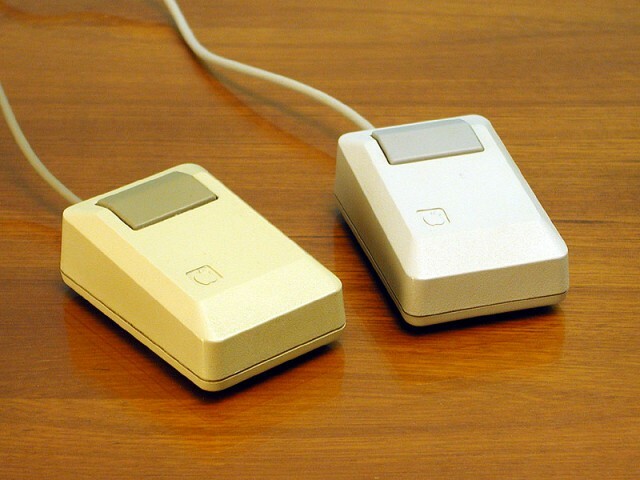 Not only is a single button mouse an easier interface to introduce to users either new to computers or used to text-only input, but it dropped the build price of the mouse to a level where every consumer could afford to buy one. And why was it so important for every Apple Computer owner to have a mouse? So Steve Jobs could unveil his other big new product inspired by his Xerox Labs visit: the Macintosh, and its GUI-based OS. Genius. For more information on Steve Jobs’ historic visit to Xerox in the 70’s, read Malcolm Gladwell’s fantastic article in this week’s New Yorker.